TEDxCaltech was an unprecedented event that brought together innovators, explorers, teachers and learners for an exhilarating day of collaboration, conversation and celebration. We assembled a group of inventive thinkers and creative artists who are pushing the boundaries of their own disciplines. Throughout the day they introduced groundbreaking new ideas, shared inspired stories and gave us a glimpse at the technology of the future. 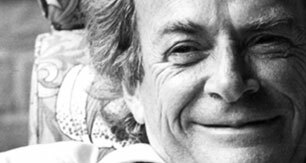 Inspired by Caltech’s own Richard Feynman, Nobel laureate, iconoclast and visionary, the day was an exciting and entertaining intellectual adventure!